Our planet is changing, am I right? Anyone, even the most conservative (and I use that term the way the politicians use it, not in its proper form), sees the changes in climate, ocean water, sea life, animal behavior, as well as the way we humans treat one another. Maybe we can do something to impact the global changes, maybe not. Regardless, do we need to continue with the carelessness we’ve shown over the many past decades? There are plenty who think not, and as this movement grows I hope that treading on our planet with care will become the norm. It’s odd and disconcerting that taking care has become a bit cutting edge! Farming is nothing new. My dad grew up on a farm, and his parents before him came to America so that they could farm (and not be killed in a pogrom, but I digress). And yet farming has changed so much in the last fifty years that my grandparents would hardly recognize the mega agro businesses of today. Unfortunately farming, like so many other businesses, is dominated by the few, leaving the many to struggle to keep their farms financially sustainable. Decades ago, when a bad rainy season or a swarm of locusts destroyed a farmer’s income, farm subsidies were born. Over the years farm lobbies and the huge industrial farms have learned to work the system to their own advantage, leaving the rest of us with food that is both less expensive and of lesser quality than that of our grandparents. We have become accustomed to spending less on our food, but honestly is it worth the cost to our planet and to our health? Paul Kaiser has found a better way. In my drought stricken home state, Kaiser is raising his vegetables the old fashioned way, with a few modern twists, and is doing it sustainably both for the land and his own pocket. His methods have been labelled ‘Organic 2.0’….Kaiser highlights the shortcomings on many larger organic farms: too much water, too few plantings, too much disruption of the land (discing), fertilizers (even organic), not enough composting, overall destruction of the topsoil. Kaiser plants his land in a mish-mash fashion interspersing various crop plantings with trees and non-crops that bring pollinators, beneficial insects and natural fertilization to the land, and he covers the whole thing with lots and lots of compost. He sees his methods as a triple win: socially (he employs farm workers), environmentally and financially. 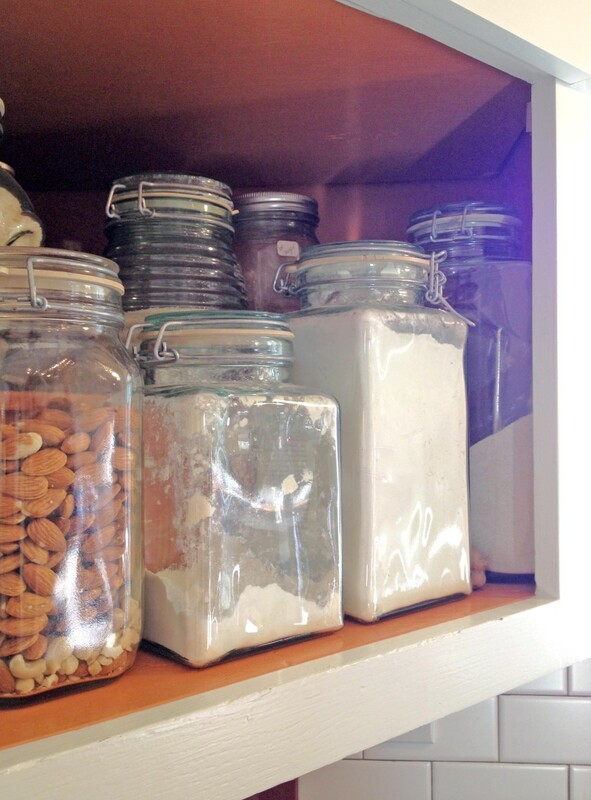 Zero waste grocery stores are beginning to show up around the US as well as in Europe. Much like purchasing from the bulk section or at a local farmers market (where you bring your own re-usable bags), they sell everything from produce to cleaning supplies and everything is sold un-packaged. Customers bring their own re-usable containers, measure the weight of the container (tare weight), then pour or scoop or dump in their purchase. This allows customers to buy what they need…leaving less waste from spoiled food, less packaging in the compost bin or landfill or the ocean. Ben Shewry, chef and owner of Attica in Australia, has turned a small suburban restaurant in Melbourne into one of the 50 best restaurants in the world. He uses local, sustainable ingredients, mainly vegetables, and creates cooking techniques unique to Attica and the products he is creating. Foraging, cooking Maori style in the earth, working with each ingredient to find its essence. And yes, the price is high. But the wait to get a reservation is long…and in my opinion, that’s good. Check out his video (you’ll need a netflix account). When chefs of this caliber focus on cooking seasonally and locally, there is a trickle down effect. Have you seen the menu at your local fast food joint lately? It’s a long way from healthy, but it’s getting healthier. And many of the fast casual restaurants tout local sourcing, no additives, anti-biotic free meat, etc. As diners learn the value of eating sustainably, this will translate to every income level. What about the waste? Dan Barber, chef at Blue Hill in Manhattan, has figured out what to do with cucumber butts. He created a two week pop-up at his Manhattan restaurant called WastED where he re-combined the ends, the butts, and the leftovers into food that he served diners at $15 a head. And they loved it! Food waste is a huge issue, especially in developed countries. I’ve heard statistics that are shameful: 30-40% of food produced in the US is wasted. Meanwhile people are starving. Bon Appetit Management Company has begun a program called Imperfectly Delicious Produce to purchase less than gorgeous fruits and vegetables to be used in their kitchens. More than 10,000 pounds of produce were recovered during the first few months of the program. That’s 10,000 pounds of food that fed people rather than landfill! If you live in the SF Bay area, there are groups that will pick up food from restaurants and shops, like Extra Food. If you have fruit trees or vegetables that you don’t pick, or don’t pick completely, there are groups that will harvest your edibles and donate the proceeds. My grandmother hung cheese over her kitchen sink and caught the whey to use for her farm animals. What happened to those days of waste not, want not? It’s time to take these ‘cutting edge’ ideas back and make them part of our culture once again. tires, runways and cutting edge food my favorite restaurant design competition winner is….